And, offered special discounted dedicated ad rates in select media partner publications. It's free! 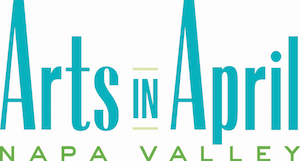 Simply add your event to the Napa Valley Now calendar. *NOTE! Follow directions to add an event and select "Arts in April" under Event Category to be included. the vibrancy of each city's downtown districts. The city centers of Calistoga, St. Helena, Yountville, Napa, and American Canyon will be highlighted, bringing the community together to celebrate the authentic spirit and heritage of the area. Join us for one of our workshops to learn more, submit your event or contact Danielle Smith for questions at artsinapril@artscouncilnv.org.